Land you own! 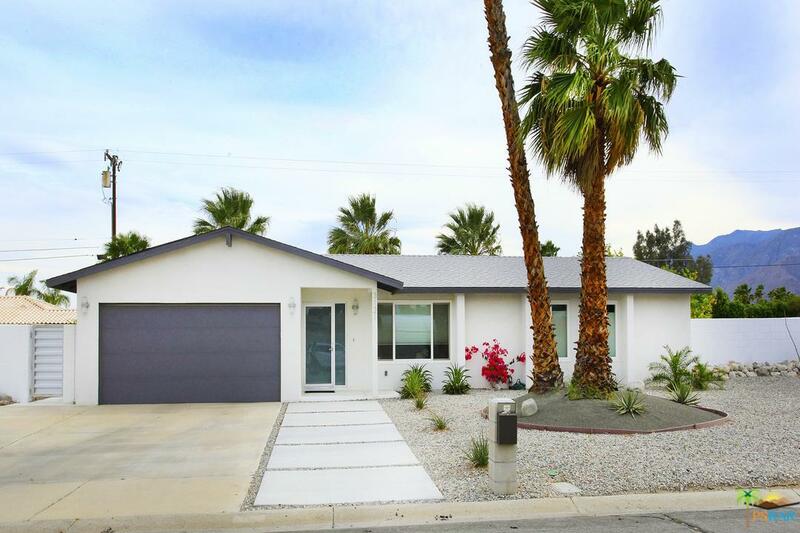 You will be impressed with the modern / contemporary design of this home including the glass entry door leading into the open living / kitchen space with 24 inch white tile. This home is perfect for entertaining friends with the mountain views framing the large backyard for BBQ's, relaxing in the spa, a refreshing dip in the pool or just a quiet nap with the covered patio area. Master bedroom has French doors that take you right to the pool. 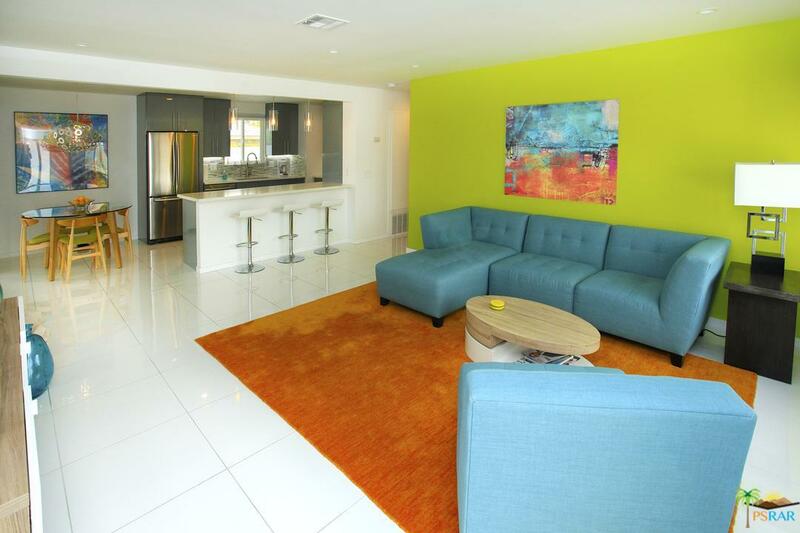 Complete remodel recently includes new cabinetry, stainless steel appliances, wine bar, quartz counter tops, tile floors, carpet and bathrooms. You will save money with the solar lease, energy efficient windows and low maintenance desert landscape. 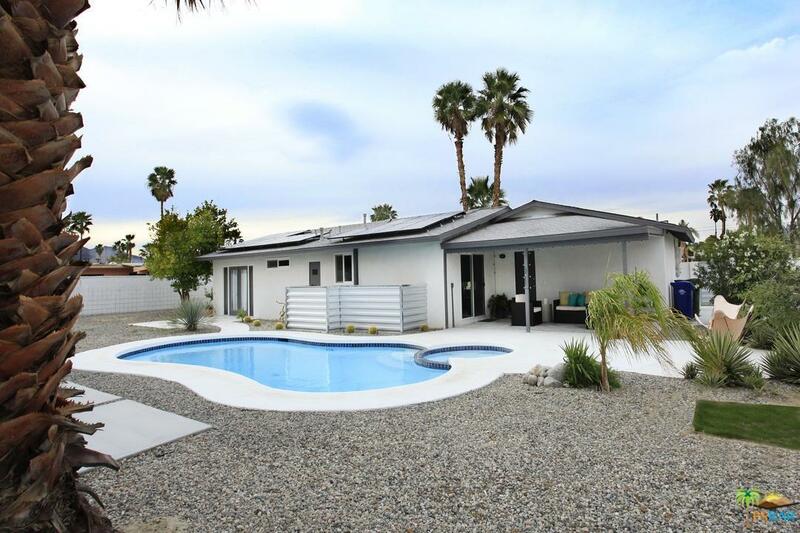 Close to downtown Palm Springs with all the exciting restaurants, clubs and shopping.Don't miss out on this great home. 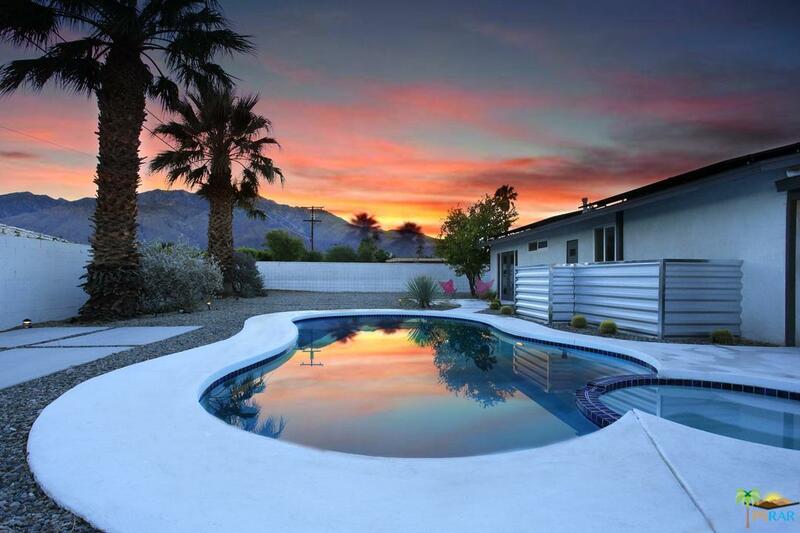 Sold by Diann Johnson BRE#01956616 of The Paul Kaplan Group Inc. Listing provided courtesy of Dean Keefer DRE#01956616 of Bennion Deville Homes and Steven Autry CA DRE# 02068905 of .